Not sure what to get that special someone? A MotorDog69 Gift Certificate is a great way to let them pick out what they want! website or at one of our events. You can purchase as many Gift Certificates as you want. 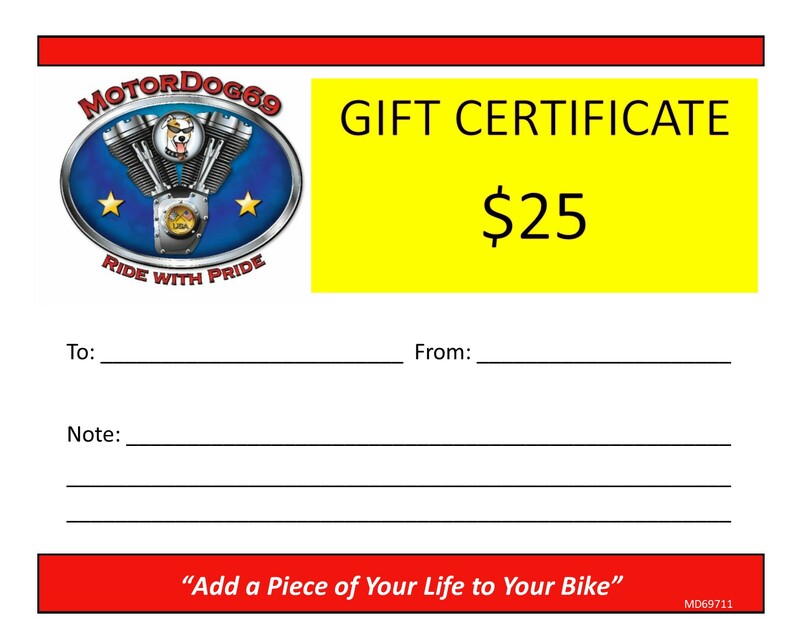 Print out the MotorDog69 Gift Certificate image and use it in a card. Shipping will be reimbursed upon purchase. and a copy of the Gift Certificate with you, ask to speak with JOHN, and we'll assist you from there. Any amount not used after your purchase/purchases will be refunded. Thank You for your interest in our Custom Motorcycle Accessories!